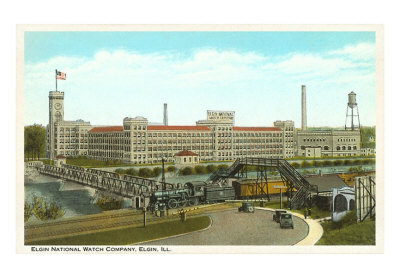 Elgin, Illinois, approximately 30 miles NW of Chicago…The National Watch Company was founded in 1864. 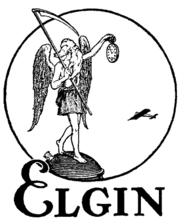 Ten years later, the name was changed to Elgin National Watch Company and became one of the largest producing watch companies in America. 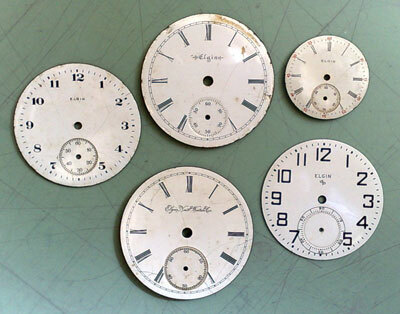 In the 1920’s they were producing over half of the watches in the country. Now these vintage watches can be found and collected internationally, including a vast variety of pocket watches and men’s and women’s wrist watches. Considering the company was producing watches for 100 years, the designs, graphics, and materials used are charming and elegant examples of vintage design as it changed through the decades. The factory closed in 1964 and was completely demolished in 1966. 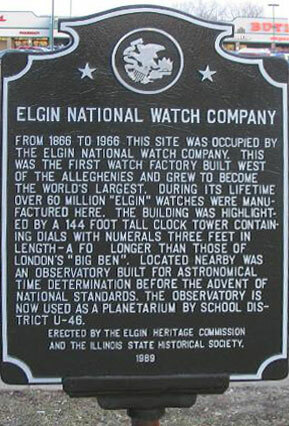 The last reminder on the Elgin National Watch Company site near the Fox River is a commemorative sign in the parking lot of an unattractive shopping mall. And just up the river is the state’s floating gambling boat casino…how times have changed! 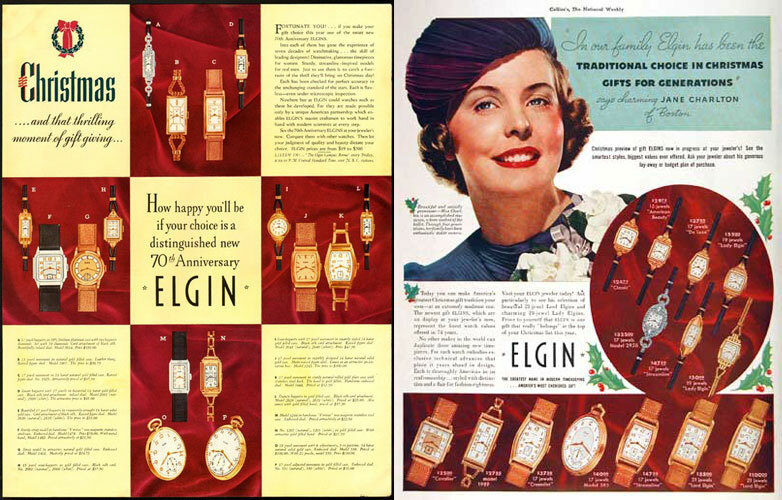 Collectors and historians can get more information about the Elgin National Watch Factory from these helpful websites: Wikipedia, Elgin Watch Reviews, ElginWatches.org, The Watch Guy, Jeff Sexton. Read about how watches have become a part of my work here. 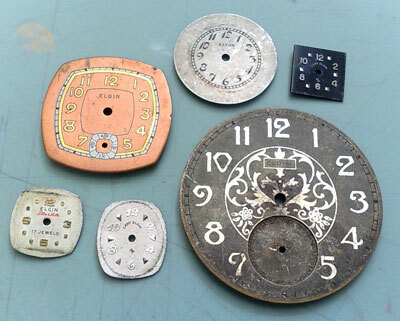 See examples of my jewelry made with Elgin and other watch parts at http://www.art925.com/watches.html. The inspiration starts from lovely faces like these below.